Dr Muscat and his wife Michelle. 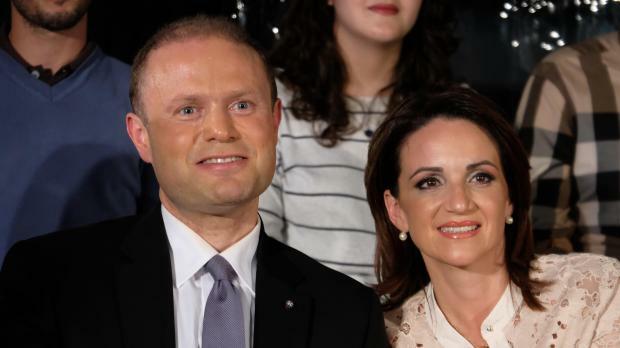 There was no evidence linking Prime Minister Joseph Muscat, his wife Michelle or their family to Panama company Egrant Inc., a magisterial inquiry has found. Magistrate Aaron Bugeja found no documentation linking the Muscat family to the allegations, with a UK-based forensic accounting firm also failing to find any evidence linking the Muscats to Egrant on Pilatus Bank servers. 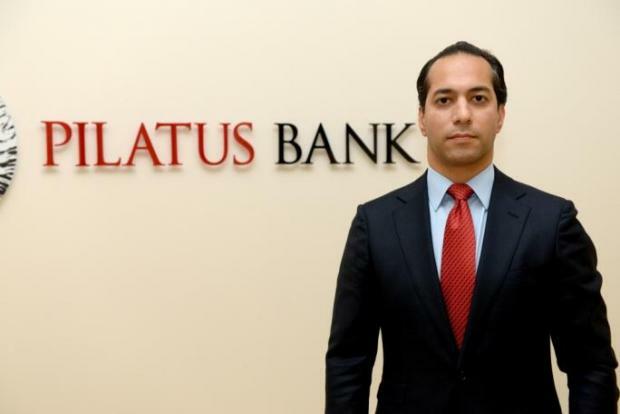 It found that no member of the Muscat family had accounts at Pilatus Bank. Similarly, UK-based Harbinson Forensics told the inquiry that Pilatus Bank records searched did not show any bank accounts, or discussion about opening bank accounts for Egrant, Tillgate or Hearneville – the latter two being companies owned by politically-exposed persons Keith Schembri and Konrad Mizzi, respectively. In 49 pages of conclusions published by the Attorney General’s office on Sunday morning, the magistrate cast doubts on several aspects on the testimony of former Pilatus employee Maria Efimova and found that many of the allegations, first published by Daphne Caruana Galizia in April 2017, were not backed by proof. “A hundred suspicions do not amount to a single piece of evidence,” the report concluded. It will take time to properly sift through all the report's various conclusions, but an initial summary of its key findings is detailed below. The inquiry heard the testimony of 477 witnesses, requested information or assistance from authorities in five countries – Panama, Belgium, the UAE, Germany and the USA – and engaged various IT experts and firms. These included foreign firms, such as UK-based firms Ansec IA Ltd, Harbinson Forensics and Key Forensic Services, as well as local IT experts Godwin Caruana and inspector Timothy Zammit. It sought – and obtained - assurances from Oracle Flexcube banking software experts that information on Pilatus Bank servers could be relied upon “from its first day of operation”. Declarations of trust handed to the investigating magistrate contained falsified signatures, the inquiry found. Forged signatures were verified by a British forensic accounting firm, with the person whose signature was on the declarations, Jaqueline Alexander, also taking an oath stating that she had not drafted or signed any such declarations. Whoever falsified the declarations of trust, the inquiry found, made use of information which was publicly available online. The inquiry said it found it hard to reconcile the testimonies of Daphne Caruana Galizia and Russian whistleblower Maria Efimova, with the two at times giving contrasting versions of events which were “incompatible with each other, or completely disavowed by evidence gathered”. It notes several discrepancies in Ms Efimova’s testimonies. Among them is her first telling the magistrate that she only knew of transactions between Sahra FZCO and Egrant by overhearing a conversation between Ali Sadr and Nexia BT’s Brian Tonna, only to later say that “I saw the name of the beneficiary and it was Egrant Inc.”. Pierre Portelli, who at the time was managing editor of The Malta Independent and who had met with Ms Efimova, told the magistrate that both she and Ms Caruana Galizia had told him that they had shown the declarations of trust to magistrate Bugeja – something the magistrate, in his conclusions, says did not happen. Ms Caruana Galizia told the magistrate she had been shown the documents by Ms Efimova, while the latter told the magistrate that she had never taken a copy of the documents and that it was Ms Caruana Galizia who had produced them during their first meeting. What is clear, the inquiry notes, is that while both Ms Caruana Galizia and Mr Portelli said that Ms Efimova told them that she had access to copies of declarations of trust and bank account opening forms, the latter had denied this outright when testifying. Mr Portelli subsequently published a Facebook post in which he said he had acted in good faith and accepted the inquiry findings. Ms Efimova, writing on Twitter, stuck to her guns. "I stand for what I've said," she wrote. "Every intelligent person...will easily figure out who is right and who is wrong." Everybody knows where I am - in Greece, you are welcome to visit. I stand for what I've said, despite from the inquiry outcome. Every intelligent person, educated in finance & corporate field will easily figure out who is right and who is wrong. The inquiry found that Pilatus Bank employees gave contrasting opinions when asked if the bank had a safe in its kitchen, as alleged by Daphne Caruana Galizia. It concluded that the bank had a filing cabinet, which was kept locked and which several employees called a “safe”, which was “probably” in the kitchen for a while. The inquiry also found no evidence to claims that Pilatus Bank chairman Ali Sadr Hasheminejad spirited away key documents on the night Ms Caruana Galizia first published the Egrant allegations. Mr Hasheminejad was caught on camera exiting the bank’s Ta’ Xbiex offices through a side door while carrying a sizeable bag. Nobody is blown up for telling lies. The inquiry looked at CCTV footage of Mr Hasheminejad at Malta International Airport earlier that day as he arrived in Malta, as well as footage of the chairman within the bank premises that day. It found that the chairman entered the bank carrying the same luggage that he was seen exiting with later on that night. Before he exited, he placed a tablet, some papers he had taken out of his bag earlier and a single paper handed to him at 7.24pm that evening and which he “barely paid attention to”. Pilatus Bank chairman Sayed Ali Sadr Hasheminejad. Hours after Mr Hasheminejad was seen exiting the bank, a private jet left Malta International Airport for Baku, Azerbaijan. The inquiry heard the testimony of Vistajet airline officials, including the flight pilot, air traffic controllers and MIA officials. It also looked at documentation for the flight and e-mails concerning it. Airline officials told the magistrate the plane had been called to Baku at 3.43pm on April 20, at the request of clients who wanted to fly to Dubai. An e-mail indicating this was shown to the magistrate, but this e-mail was dated more than four months after the flight – August 24. Airline crew were told of the flight a bit late, and arranged to leave MIA at around 3.30am to 4am. The pilot testified that there were no passengers or cargo on board, save for the crew’s personal belongings. The magistrate found a number of discrepancies in documentation – one e-mail listed six passengers, while another named five, with passport numbers which did not match – but said that this did not meet the burden of proof required by law to satisfy the allegations of documents having been ghosted away. Mr Schembri, who serves as Dr Muscat’s chief of staff, had two active accounts at Pilatus in his own name. He did not use the accounts regularly, the inquiry found, with “few transactions spread over a period of time.” Statements showed no transactions with people in Azerbaijan. There were, however, transactions with Willbery Trading Inc, which is the subject of a separate magisterial inquiry being led by magistrate Natasha Galea Sciberras, as well as a transaction on August 16, 2016 in which Mr Schembri sent money to New Zealand auditors Crowe Howarth, who were responsible for his trust, Haast. The inquiry found no Pilatus bank accounts linked to Dr Mizzi or his family. John Dalli’s Pilatus Bank account had already been closed by the time the Egrant inquiry got underway. The inquiry found that Mr Dalli had barely used the account, with transactions limited to withdrawing small amounts of cash or paying overdraft fees, closure of account fees and other such fees. There were no transactions linked to Azerbaijan. The inquiry found no evidence of a company named Al Sahra FZCO at Pilatus Bank. Ms Caruana Galizia had alleged that the company had made a $1.07m payment to Egrant Inc. using its account at Pilatus Bank, to an account Egrant held at a Dubai bank. It did, however, find companies with very similar names with Pilatus bank accounts – Sahra FZCO and Shams Al Sahra FZCO. Both these companies are registered in Dubai and made transactions to foreign countries, including Dubai. Both these companies are owned by politically-exposed people – Sahra FZCO is owned by Leyla and Arzu Aliyeva, the children of Azeri president Ilham Aliyev, while Shams Al Shara FZCO is owned by Nijat and Tale Heydarov, the children of Azerbaijan’s Minister of Emergency Situations. The inquiry, however, found no evidence of Sahra FZCO making any payments to Egrant, and forensic accounting specialists found no sign of a $1.07m transfer. Although they found evidence of transactions running into several million euro, these were not to Egrant, Tillgate or Hearnville, and there was nothing linking the recipients of this money “to any onward payments to Michelle Muscat or to a company called Egrant”. The inquiry was unable to ascertain whether Egrant, Tillgate or Hearnville had bank accounts in Dubai, with authorities there refusing to cooperate. Forensic accounting specialists Harbinson Forensics, however, said that it had made enquiries using its “international intelligence banking contacts” about Egrant having a bank account in Dubai. These contacts found no bank account. Read the inquiry conclusions in the attached PDF.